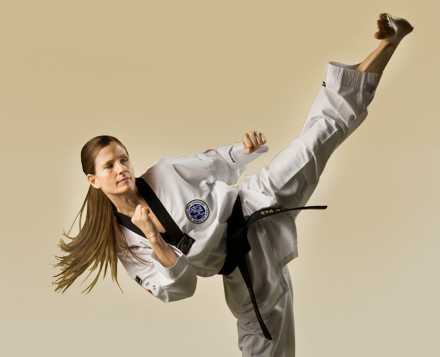 In this all-levels class, teens and adults train together in the basic skills of Taekwondo. Techniques covered include punches, kicks, stances, sparring and self-defense. Students learn important choreographed sequences of Taekwondo techniques to help develop basic skills, timing and mental focus. Students of all ages learn practical self-defense techniques to stay safe in our urban environment.